There are many reasons for choosing sandstone patio pathways or driveways are durability and versatility. Sandstone pavers are used for various external applications both in commercial and residential projects. 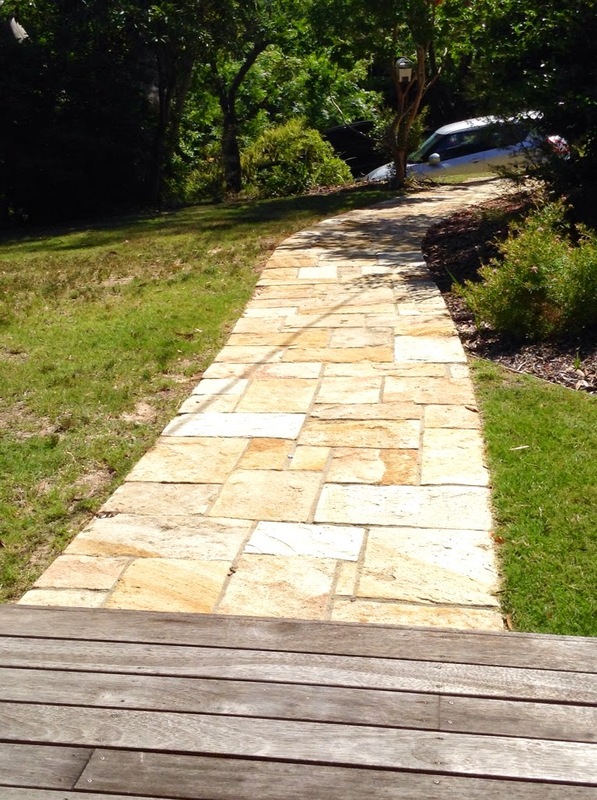 These are extremely popular in Sydney landscape designs, garden pavements, pathways, etc. 1. The most important feature of Sydney sandstone is that availability in many colours and each colour has shades from light to dark. This makes your selection easy for matching and in many shades of one colour you can design your whole interior and exterior décor. 2. You can use both natural surface and honed (polished) surface of sandstone for outdoor paving because of its non-slippery property. It is also moisture and corrosion resistant which makes it perfect as outdoor application material. 3. Create any design or shape that compliment your interior designs like our designs of sandstone circles. 4. A low maintenance cost makes it more demanding among architects and builders. Some sandstone like yellows are even acid resistant so there is no worry of stains. If you still have any stain of acid or hot water then it can also be washed away by using strong detergent and hot water. For some more deterrent stains like rust, you can use chemical acid solutions like hydrochloric solutions. 5. A properly sealed paving design lasts long but if you are using any harsh way to clean your pathways then it may be possible that some joints can open. These damages or joints can be filled easily again with cement or any other filler available in your local building material shops. All these qualities make sandstone a first and functional choice of construction companies. If you have any renovation or construction project then write us for informative and technical advices for choosing material.